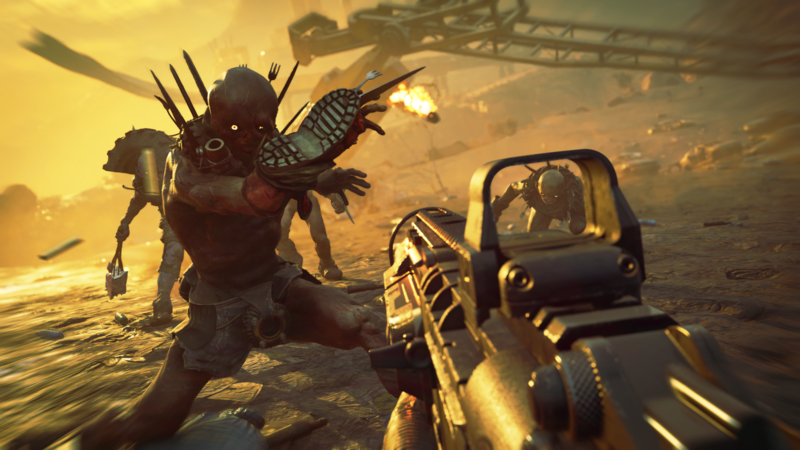 As promised, more Rage 2 was shown off at The Game Awards 2018, and its Spring 2019 release window was narrowed down with a concrete release date. Take a look at all the places you can check out in Rage 2’s open world when the game launches May 14, 2019 for the PlayStation 4, Xbox One, and PC. Here’s its official open world trailer. The Rage 2 trailer begins with a giant, mutated monster biting off someone’s head, only for its own head to explode after being sprayed with bullets. It may be considered a fitting introduction to Rage 2 by some, seeing as it is a game that’s filled with over-the-top violence balanced by vibrant neon and graffiti-filled environments. There’s a heavy emphasis placed on the map and the wide array of locations players can use as their own “bloody playgrounds.” Race through the deserts, bash in mutant skulls, stop by the club, and enjoy this world of no rules. It basically seems like a big free-for-all, with lots of opportunities to enjoy yourself and take advantage of both vehicular and standard mayhem. For even more Rage 2 content, be sure to check out the seven minutes of gameplay shown off at QuakeCon 2018. Will you aim to create chaos wherever and however you like in Rage 2’s expansive map when the game launches May 14, 2019 for PS4, Xbox One, and PC? Fire away in the comments below.